I’d been on my weight-loss journey for about two months. I’d lost 11 pounds, and felt good about that. I’ve been writing about the emotional journey of my weight-loss project, but obviously there’s more to weight loss than emotions. 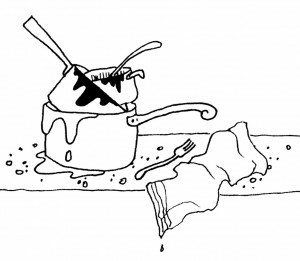 I recently found a book that does a great job explaining the science of overeating, and today I’d like to share with you some of what I’ve learned from it. 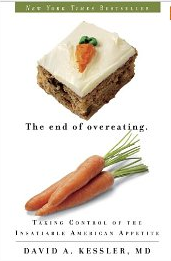 The book is called “The End of Overeating: Taking Control of the Insatiable American Appetite.” It’s by a former US FDA head, David Kessler, MD. You can get the book on Amazon.com here. A couple of weeks ago, on this website’s launch celebration call, I announced the next “impossible” challenge I’m going to take on. I announced I was going to do something that a lot of people want to do, but aren’t able to accomplish.